Mercury is said to rule all sorts of communications, trade and commerce. 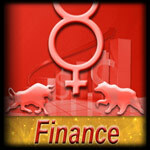 Hence when Mercury turns retrograde it is likely to put your finances in a retro direction too. Here you need to know when Mercury turns retrograde and plan your financial moves and decisions accordingly so that you can avoid a financial burn-out and attain prosperity in life. • Reassessing and renegotiations of finances can be done. • Do look for any potential errors in your financial moves like payments and insurance policies. • Garner data related to anything you want to buy or invest in future. • Loans plans if any and other payment plans need to be revised. • Be prepared with your papers for filing of your taxes. • Reorganize your accounting and book keeping systems. • Change your beliefs and attitudes towards money and finances for the better is yet to come. • Do not initiate any new projects, partnerships or investments. It would certainly result in a loss and also in unwanted delays and frustrations. • Do not make any new purchases, else they might turn up to be faulty or damaged or of no use to you. • Do not take any loans when Mercury is under Retrograde. • Do not file taxes when Mercury is at its worst. • Do not gamble, speculate or take any risks with money.